Italian heirloom with nutty taste and star-shaped slices. Known and beloved by Italians as "Costata Romanesco", this Italian heirloom offers up a distinctive nutty flavor. The 6-8" medium-green fruits have pale green ribs and flecks. The prominent ribs create star-shaped slices which are lovely sauteed or roasted. Squash, Italian Ribbed Zucchini is rated 4.2 out of 5 by 6. Rated 5 out of 5 by cjbcmb from needs a more descriptive title plants are beautiful and have produced many zucchini.. we are really happy with the purchase and had looked all over to find this type of plant .. the zucchini are so much lighter tasting and hold up well in storage. Rated 4 out of 5 by Agricola from Not What I was Expecting I have had a very hard time growing zucchini here in central Maryland because of the ubiquitous squash vine borers and heat and humidity. My research led me to try costata romanesco because it was described as being hearty and big enough to withstand borers. I was expecting squash with deep ribs and a nutty flavor as well as a vining plant. What I have gotten are traditional smooth green regular tasting zucchini on regular, non vining plants. Having said that, I am very pleased overall. I have ten plants for my family of three and so far only a couple of the plants have been attacked by borers. 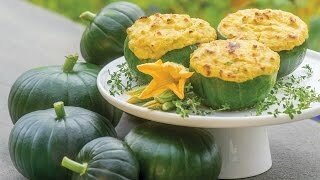 I have had enough squash to make my favorite recipes a few times a week. Rated 1 out of 5 by realfarmgirl from NO RIBS! This zucchini isn't really ribbed, just light and darker stripes that give the illusion of ribs. Very disappointed! If you really want ribs, get 'Gadzukes', it is one great zucchini. Rated 5 out of 5 by Midwest Jess from Very Tasty! Keeps Producing - Minimal Seeds Although mine didn't look striped like the picture, they were very tasty and had minimal seeds. These kept producing and even the larger ones were still tender and delicious. I would grow these again! Rated 5 out of 5 by Osmiumtet from Really tasty zucchini I grew this for the first time this year. Have two plants. Zucchini has nice nutty flavor. I would suggest planting around 4 plants. Yields are a little on the low side with only two plants. Rated 5 out of 5 by bryear from Best Zucchini, hands down! I believe this used to be known as Burpee's Gadzooks! zucchini. This is by far our best zucchini. Every time I try another variety along with this one, my wife turn's her nose up at the newcomers. This plant, while not as product as most zucchini, produces large leaves and long fruits that keep their slim shape, small seeds, and nutty flavor as they mature. 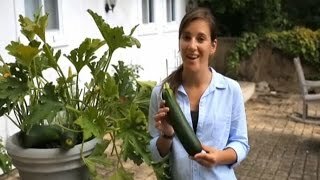 If more zucchini grown were like this one, more people would be happy about zucchini.